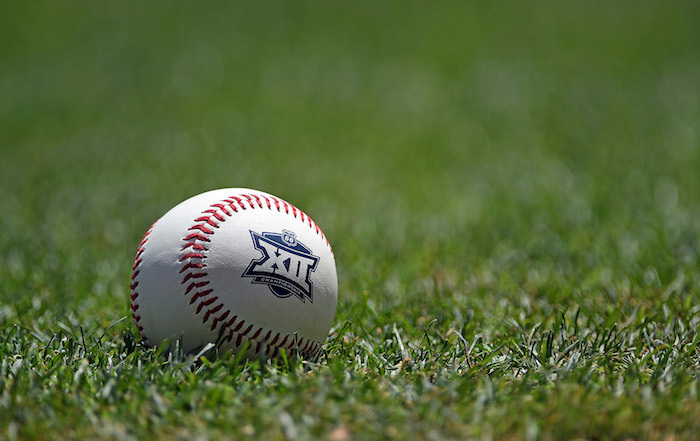 More than half of the teams in the Big 12 Conference are ranked in the D1Baseball.com Preseason Poll. Four of the five teams will enter the season ranked in the Top 20. Texas Tech scored the highest ranking at No. 3. Both teams ahead of the Red Raiders are from the SEC, which we can’t complain about too much. Unlike in football, the SEC has actually earned the right to be known as the best conference in baseball. 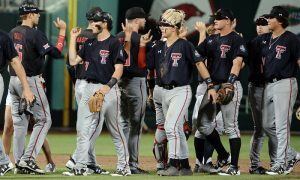 Before arriving in Lubbock, people warned Tim Tadlock that Texas Tech is an impossible program to take to Omaha. 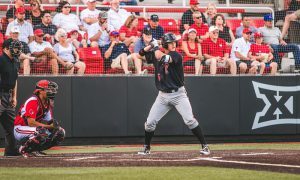 He now comes off his third trip taking the Red Raiders to the College World Series and is primed for a fourth. We’re still waiting on an official roster, but Big 12 Freshman of the Year Josh Jung is guaranteed to return. That alone strikes fear into any pitching staff. After Tech, there is a major drop off until No.15 where the Baylor Bears start after a miraculous “rebuilding” season that saw a trip to the NCAA Regionals. Steve Rodriguez did an excellent job grooming an inexperienced squad into a team that won 18 of its final 21 regular season games before hoisting the Big 12 Tournament Championship trophy with a perfect 4-0 record. Oklahoma State and TCU check in at No.18 and No.19. The Cowboys used a strong April to ride into the postseason one year ago. The pokes bring back several starters including Colin Simpson, Trevor Boone, Carsen McCusker, and Christian Funk. Outside of Carsen Teel and Reza Aleaziz, the pitching staff is returning most of its key players from 2018. TCU managed to keep both manager Jim Schlossnagle and pitching coach Kirk Saarloos after several rumors of them leaving at the end of last year. While those two stayed, Luken Baker and Durbin Feltman both signed with MLB franchises. Ace pitcher Jared Janczak does return, but there will be questions of how good he will be. The Horned Frogs were favored one season ago, but had its season completely derailed with injuries to both Baker and Janczak. Feltman was hardly used due to a serious lack of offense. While the Frogs are less talented, this team always reloads and its rebuilding period only comes during seasons like 2018 where the injuries pile up. The Texas Longhorns round out the ranked Big 12 teams at No.23. David Pierce did an amazing job turning the program around after the retirement of legendary skipper Augie Garrido. Texas returned to Omaha after hosting both the NCAA Regionals and NCAA Super Regionals. Nothing was more sweet for Texas fans than embarrassing Texas A&M 8-3. 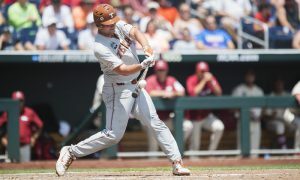 Notably missing this year will be Kody Clemens, but Zach Zubia will fill the shoes well as the face of Texas sluggers. Much of the lineup returns. Big things will be expected of junior Blair Henley on the mound. Opening Day is set for Friday, February 15.